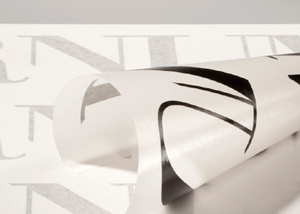 Clear Choice® AT60n is an ultra-clear, low tack film application tape designed to transfer large format graphics. Excellent facestock clarity helps installers precisely align multiple graphic overlays and the rigid polypropylene face material prevents stretching even when applying graphics in hot weather. With its forgiving adhesive system, AT60n makes handling and applying large graphics less challenging. 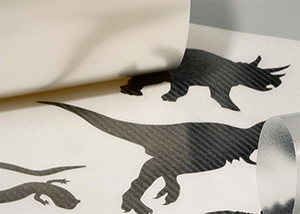 Clear Choice® AT65 is an ultra-clear, high tack film application tape that provides exceptional performance & versatility for the widest range of sign applications. AT65 is the tape you want to keep on hand. Its high tack adhesive system is especially suited for transferring small, high detail cut graphics & calendared vinyl films with tight liner release. AT65's clear film facestock allows for precise registration of multiple colour overlays, while the rigid polypropylene film minimizes stretching for precise alignment of graphics. ApliTape™ 4050 is a standard grade saturated paper application tape, coated with a medium tack rubber adhesive. 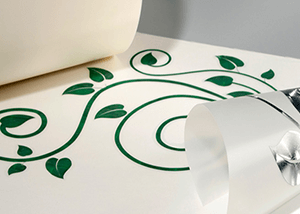 Superior choice for medium and large plotter cut graphics. A good choice for large fleet graphics and for applying graphics to vinyl banners.